Get excited about fall fashion 6 p.m. to 9 p.m. Thursday, August 30 with Sip & Shop STYLE. The third and final event of the series gets you ready for the upcoming fall fashion season with expert advice from notable Chicago stylist Julie Watson. Julie will show you insider tips and tricks on how to update a wardrobe on any budget; how to maximize the clothes in your closet, and how to spend wisely without the threat of buyer’s remorse. 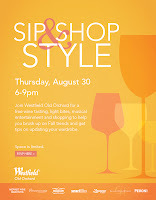 Don’t miss out on your last chance to Sip and Shop at Westfield Old Orchard! Space is limited; guests must be 21 years or older. 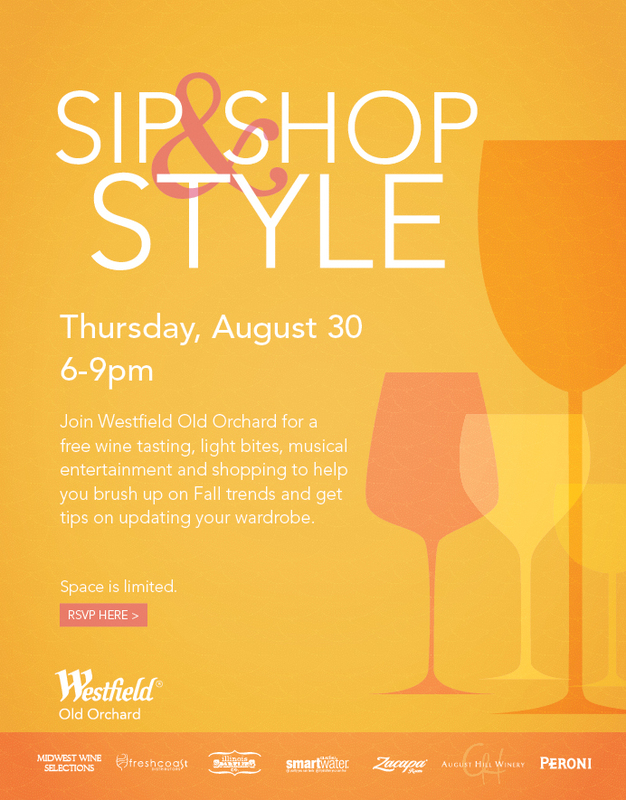 To RSVP, visit www.westfield.com/oldorchard.